The 2011 NASCAR Toyota All-Star Showdown, the sport’s premier short-track racing showcase will return to the Toyota Speedway at Irwindale (Calif.) on Jan. 28-29. The eighth running of the event, which brings together the top racers from across North America and has grown into the ”Daytona 500 of short-track racing,” will be highlighted by the 225-lap NASCAR K&N Pro Series all-star race. The NASCAR Toyota All-Star Showdown main event is broken up into three sections – two 100-lap segments preceding a 25-lap dash to the finish. 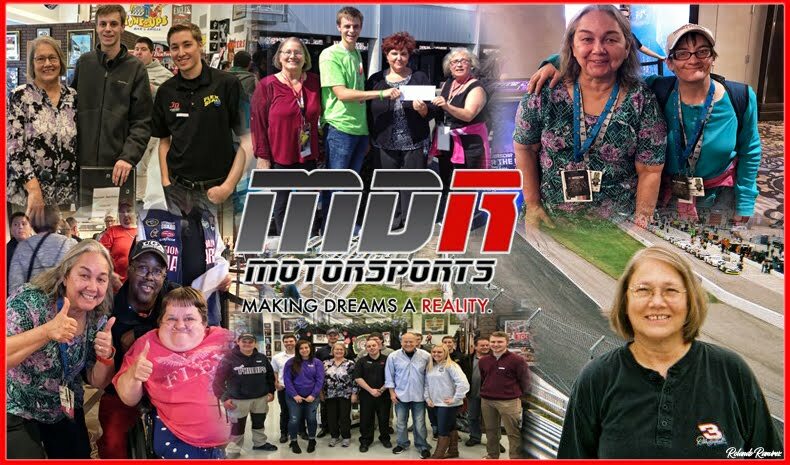 Last year, Joe Gibbs Racing driver Joey Logano became just the second driver to win two Showdowns when he held off a furious challenge over the closing laps from the 17-year-old Sergio Pena, who was making his series debut for Revolution Racing/Drive for Diversity. 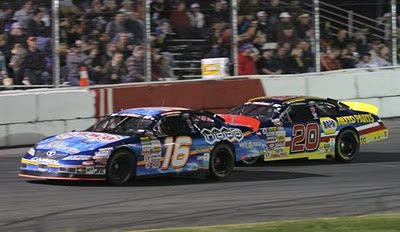 The race features secured starting spots for the 2010 champions of NASCAR’s developmental series and race winners of the NASCAR K&N Pro Series from the 2010 season. Eighteen-year-old Ryan Truex leads the field of drivers who have already earned spots, having recently wrapped up his second straight NASCAR K&N Pro Series East championship. 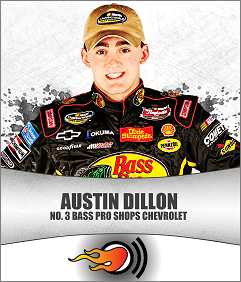 Other drivers who have secured starting spots include NASCAR K&N Pro Series race winners Ty Dillon, Max Gresham, Paulie Harraka, Erik Holmes, Patrick Long, David Mayhew, Brett Moffitt, Andrew Ranger, Greg Pursley, Auggie Vidovich, and Darrell Wallace Jr., in addition to NASCAR Whelen All-American Series national champion Keith Rocco and NASCAR Canadian Tire Series presented by Mobil 1 champion DJ Kennington. The schedule also includes a 75-lap NASCAR Whelen All-American Series Super Late Model race and a 50-lap NASCAR Whelen All-American Series Late Model race. The top five NASCACR state champions in attendance will have secured starting spots in the Late Model race. New to this year, the 25-car fields for each of those races will be set by a pair of heat races – 25 laps for the the Super Late Models and 20 laps for the Late Models. Both nights of racing will air live on SPEED as part of full weekend of racing on SPEED that includes the Grand-Am Rolex Sports Car Series’ Rolex 24 at Daytona. 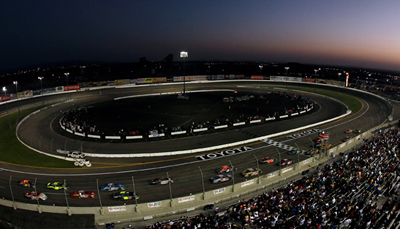 The NASCAR Toyota All-Star Showdown main event – contested in NASCAR K&N Pro Series cars – is open to any driver approved to drive on a half-mile or longer tracks in the NASCAR K&N Pro Series. Current national series drivers such as Logano, Ricky Carmichael, Brian Ickler, Trevor Bayne, Matt Crafton, Ron Hornaday Jr. and Justin Lofton have competed in the NASCAR Toyota All-Star Showdown. Moses Smith interviewed by Amanda Nicole at the Phoenix International Raceway, NASCAR K&N Pro Series West Race (11/13/2010). Moses qualified 28th and finished the race in 10th. Daryl Harr interviewed by Amanda Nicole at the Phoenix International Raceway NASCAR K&N Pro Series West Race (11/13/2010). Daryl qualified 11th and finished the race in 9th. Robbie Brand interviewed by Amanda Nicole at the Phoenix International Raceway, NASCAR K&N Pro Series West Race (11/13/2010). Robbie qualified 33rd and finished the race in 12th. Ty Dillon interviewed by Amanda Nicole at the Phoenix International Raceway NASCAR K&N Pro Series West Race (11/13/2010). Ty qualified 10th and finished the race in 3rd. Since I had the pleasure of being at the track this weekend, I decided to make a special Power Rankings for you! With a quadruple header (Truck, Nationwide, K&N West and Cup) this list will include drivers in all series. Since there are so many to choose from, the list will be expanded from 15 to 25. Hope you enjoy! 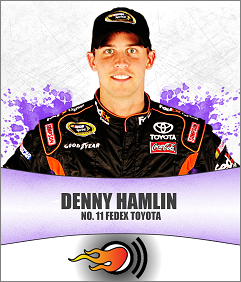 2 Hamlin immediately went to the front of the pack during the Cup race after starting 17th. He also held a rare off-track appearance for fans on Friday night, despite being exhausted and having nearly no voice. However, he failed to win the race when fuel mileage came into play. 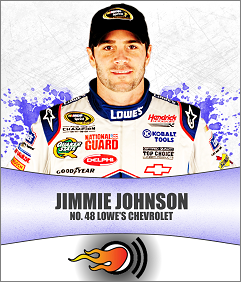 Hamlin still leads Jimmie Johnson heading into Homestead by 15 points. 3 Since this is the super list, I can finally put the superstar on here. 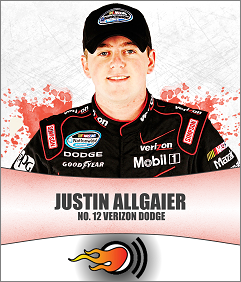 Allgaier has stood out all season in the Nationwide Series and finished eighth in this weekend’s race. With only one race left at Penske (he’ll be with Turner Motorsports starting in 2011), Allgaier has a lock on fourth place heading into Homestead. 4 While most of the “heavy hitters” are used to triple headers, it’s rare to see the lesser known drivers do it. But Almirola made the list for driving in all three main races this weekend. In the Truck race he finished fifth (battling for the Championship with Todd Bodine), sixth in the Nationwide race and 27th in the Cup race. Next year he’ll be driving for JRM full-time in Nationwide and hasn’t announced his Cup plans as of yet (if there are any). 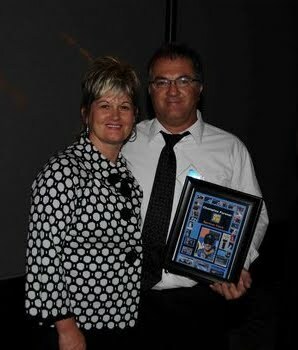 5 The 2010 Camping World Truck Series Champion had to do more than just show up to win his trophy. 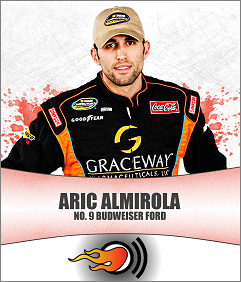 He qualified 15th and finished 12th, while his competition – Aric Almirola – qualified ninth and finished fifth. But Almirola had to win the race and lead all the laps in order to hold off Bodine (who still would have needed to finish fourth or better to win in that situation). 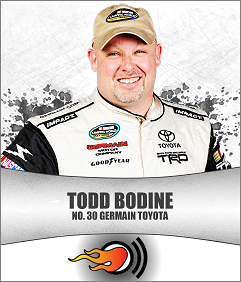 He still has a battle for the Owner Championship with Kyle Busch that will wrap up next week. 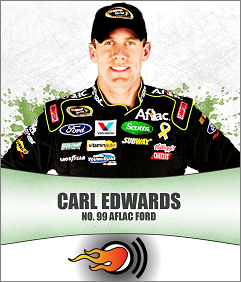 6 After taking the pole in Nationwide, he finished third. Meanwhile, on the Cup side, he’s been steadily improving all season. After qualifying 10th, he finished third in the Cup race as well. That “real” win he’s looking for isn’t far off. 7 Bowyer was double duty driver in Phoenix. 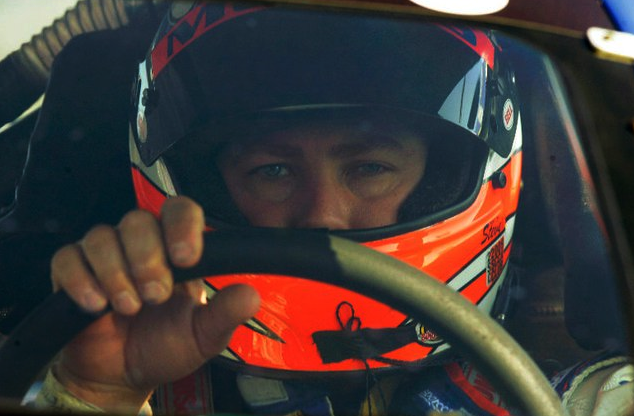 In the Truck Series, he got behind the wheel of Kevin Harvick’s No. 2 Kroger Chevrolet. He led 97 laps and took the win. 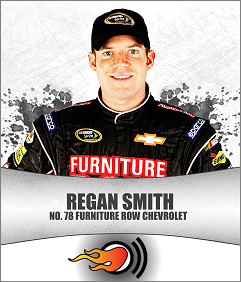 On the Cup side, he qualified 14th and finished 21st. 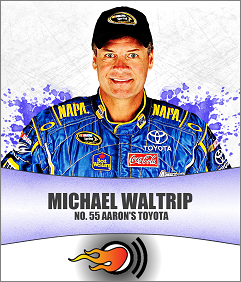 While he normally runs in the Nationwide Series, he traded the Truck ride and let Morgan Shepherd take the wheel of the No. 21 Chevrolet. Although he vows he will walk across the stage in Vegas, he is currently 11th in points. 8 Can someone say making lemonade out of lemons? After dropping like a rock after missing a lugnut on pit road, and runs staying green, Harvick became one of the “lucky ones” who didn’t need to stop for fuel. He finished sixth after going as low as 18th. He’s still third in points and will most likely end the year there. 9 He was asked to do media availability despite not being in the Chase and said the Jeff/Jeff fight was like a “bad reality show meeting a soap opera” which made everyone laugh. And although he may not have had much to do with it, his paint scheme is the reason he’s in the Power Rankings. His car carried the pictures of soldiers, past and present. Newman may not be fan-friendly at the moment (he didn’t sign a single autograph on the way to driver introductions, upsetting many fans), but he sure made a lot of people happy with that paint scheme. Oh, and he finished second in the race. Not too shabby. 10 Having already wrapped up the 2010 Nationwide title, Keselowski still is trying to get Roger Penske an Owner’s Championship. The battle heading into Phoenix was 81 points behind Joe Gibbs Racing. 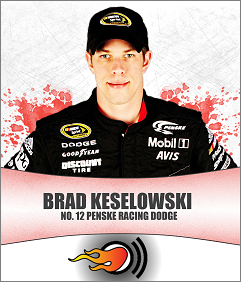 Thanks to Keselowski, the point difference has been lessened to 41 heading into the final race. On the Cup side, Keselowski didn’t fare so well, blowing a tire only 58 laps in to the race and ending his day early. 11 The rookie that is often in and out of his car started 20th and finished seventh in the Nationwide race, making him the best-finishing rookie of the race. 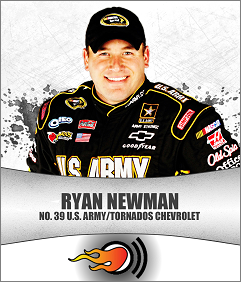 Hopefully this is a sign of things to come for the RFR driver. 12 The owner/driver/broadcaster drove in the K&N West race. He started seventh and finished third. 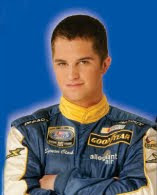 As for his drivers, on the Nationwide side they finished 23rd and 34th and in the Cup race they finished 15th and 26th. 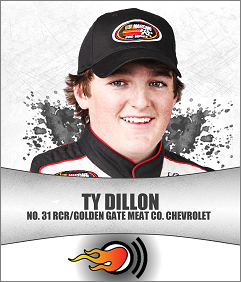 13 The younger Dillon brother competed in the K&N West race while his older brother was busy driving in the Truck race. Dillon stayed out of the 11 cautions and finished the race in fourth place after starting 10th. Look for big things to come next year from him. 14 The elder Dillon brother earned his sixth pole of the year in the Truck Series and fans thought he would earn another win. 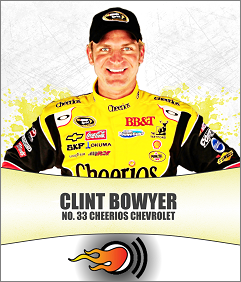 But he didn’t, losing to his grandfather’s driver (Clint Bowyer). 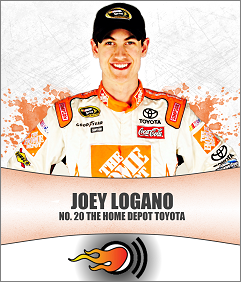 He led 24 laps and finished seventh, earning the Rookie of the Race Award. 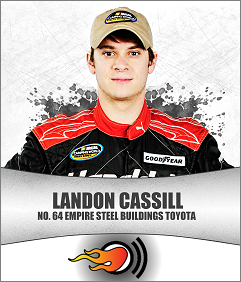 Look for him next year in some more Nationwide races and to be on the Power Rankings more often. 15 Junior Nation must be saying their prayers because Junior was second in practice, qualified 31st (only two spots behind Chase-racer Kevin Harvick) and finished 14th. He’s steadily proving again why there’s an entire nation of fans behind him. 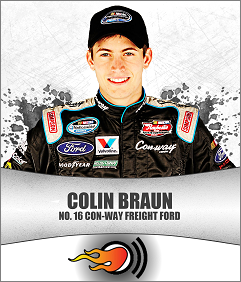 16 The K&N West driver not only finished top 15 (11th place) but ended the year fourth in points. The Tempe, AZ native was popular amongst fans. 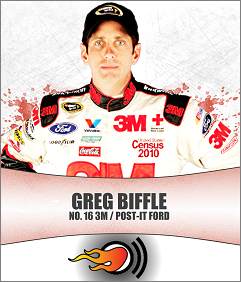 17 Last week, Biffle was headed towards a victory when his transmission went. 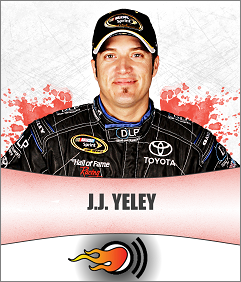 This week, he redeemed himself with a solid fourth-place finish after starting in the same position. 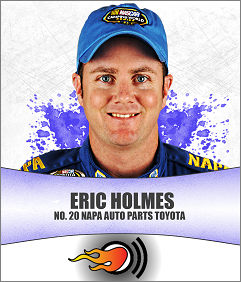 He leaves Phoenix eighth in points and should walk across the stage in Vegas as long as Homestead treats him well. 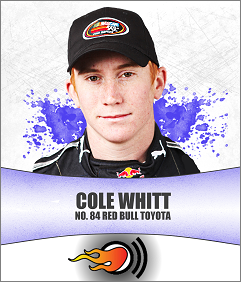 18 Although Smith started eighth, he finished 23rd and leaves Phoenix 29th in points. However, he has shown steady improvement all year and doesn’t let much get in his way. Plus, gotta give a guy who sneaks into driver introductions with Jack Roush some kudos. 19 The Red Bull driver made his Nationwide debut this weekend in the No. 84 Toyota. Unlike other debuts, this was low key but people still watched (including Red Bull Cup driver Scott Speed, who stayed on top of the pit box). Although he started 23rd, he made his way through the field and finished 15th, one position ahead of Kyle Busch (who was the last car on the lead lap). A bright future is ahead for this driver. 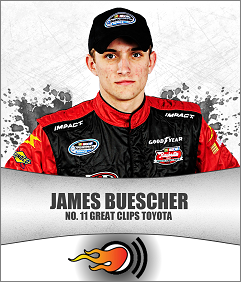 20 The Truck and Nationwide driver led four laps in the Lucas Oil 150 in Phoenix. After starting 18th, he finished 11th. 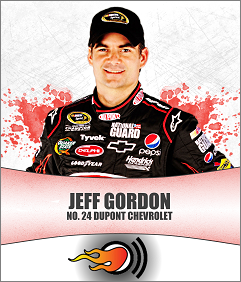 On the Nationwide side, he started 24th and finished 22nd. 21 After the debacle that was last weekend, Gordon rebounded and qualified 22nd, used his “new” pit crew and finished 11th (all HMS cars finished in the top 15). He also earns brownie points for stopping to sign autographs for fans, which is something the four-time champ usually avoids. 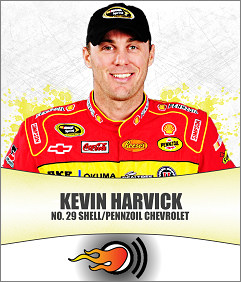 22 The other four-time champion started 21st and finished fifth. A caution was brought out after Jamie McMurray through a water bottle out his window that hit Johnson’s windshield. In his post-race comments, there was definitely some tension between Johnson and Hamlin, who are now separated by a mere 15 points. 23 He’s in his hometown and since the other hometowm boy (Michael McDowell) failed to make the field, it was nice of Yeley to give the fans something to cheer about. He finished 31st, running the entire race in front of a full crowd. 24 The 2010 K&N West Series Champion just had to literally start his car to win the Championship. In a race that had 11 cautions and 3 red flags, I’m sure he’s glad to have locked that thing up in the previous race. The start-and-parker ran for over 100 laps and locked himself into the top 35 in owner points for next week. Photo by Jae Jae W.
Taking the green flag at the Phoenix International Raceway for the NASCAR K&N Pro Series West season finale, Hasa Driver Moses Smith knew he had a lot to lose. The 2010 Championship Points battle had been extremely tight all year. A mere eighty-eight (88) points separated eighth place from Moses’ position in fourth. With the season high starting grid of forty cars, a mistake could close that cushion quickly. “We did not qualify where we should have,” Smith recalled. 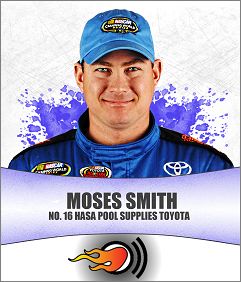 “I think that I over drove it just a bit.” Starting the #16 Hasa Pool Products / White Flyer Toyota Camry from twenty-eight position, Moses had to be both cautious yet aggressive. At the first of eleven caution periods, Moses had maneuvered his way up to the nineteenth position. From there he ran as high as third. However, as the race progressed, the race car’s handling deteriorated, making it difficult to turn. The team assessed that adverse situation, Crew Chief Mario Isola made the call to make two extra pit stops for chassis adjustments. Just after the mid-point of the 125 lap race, the #16 Hasa Pool Product Toyota Camry rejoined the pack in thirty-first position. At this point, the “worst case scenario“ loomed large. However, the driver and crew chief’s chatter on the race radio remained calm and focused. “Just dig Buddy; we have plenty of time left to get them.” Mario counseled. Moses followed his instructions and unwearyingly drove his way back through the pack; avoiding several crashes in the process. The last caution flag of the finale was thrown with just seven laps to go. The #16 Hasa Pool Products / White Flyer Toyota Camry was back in the top-ten. Moses steered clear of trouble and brought home an eleventh place finish. With that late race charge, he placed fourth in the championship battle. As a side note, Moses raced as part of the TEAM Beads of Courage program. Please check out their wonderful efforts to provide Arts-in-Medicine for Children with Serious Illness. You can also interact with the Beads of Courage on Facebook. When you look at the labor the Beads of Courage put into their program and the children they benefit, it puts the severity of losing on the race track in an entirely different prospective. “Carrying the Beads of Courage during the race gave me a boost of enCOURAGEment!” Moses interjected. 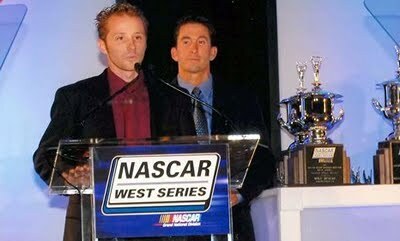 The NASCAR K&N Pro Series West - 3 Amigos Tequila 125 race will air on SPEED at 3:00 p.m. (PT) on Thursday, Nov. 18. 1. E. Holmes, 1942; 2. D. Mayhew, 1818; 3. P. Harraka, 1704; 4. M. Smith, 1674; 5. G. Pursley, 1641; 6. J. Gomez, 1627; 7. L. Martinez,Jr., 1590; 8. M. Self, 1548; 9. T. Souza, 1493; 10. T. Milburn, 1412. 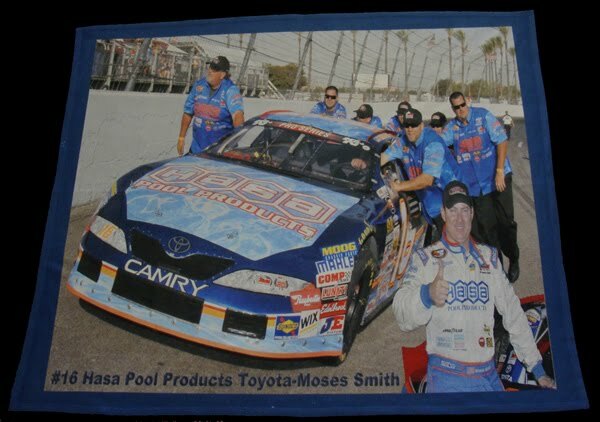 As the 2010 racing season for the K&N Pro Series West winds down with their season finale at the Phoenix International Raceway; the #16 Hasa Pool Products Toyota Camry is pleased to be racing as part of Team Beads of Courage. A resilience-based intervention designed to support and strengthen the protective resources in children coping with serious illness. Through the Beads of Courage program, children tell their story using colorful beads as meaningful symbols of courage that commemorate milestones they have achieved along their unique treatment path. TEAM Beads of Courage helps to bring awareness to arts-in-medicine programs, provides opportunity for our active Friends of Beads of Courage who wish to train towards a goal and raise funds for Beads of Courage and bring honor and recognition to children who are members of Beads of Courage. Moses will be racing tonight with several Beads that are individually hand crafted by a talented artist. After the race Moses will send the beads with encouragement notes back to Beads of Courage. The bead will then be given to children receiving treatment at a Beads of Courage member hospital. 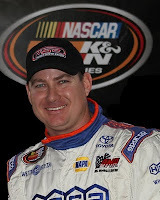 NASCAR K&N Pro Series West veteran driver Moses Smith will climb behind the wheel of the No. 16 Hasa Pool Products/White Flyer Toyota Camry for Bill McAnally Racing for the final time this year as the series wraps up the 2010 season at Phoenix International Raceway on November 13th. Unfortunately for the Hasa team, a three car tangle-up last April caused the race to finish under a green-white-checked scenario. Restarting running in eighth, Smith avoided a multi-car crash coming out of turn four but was hit by two other cars from behind ending in a disappointing finish. 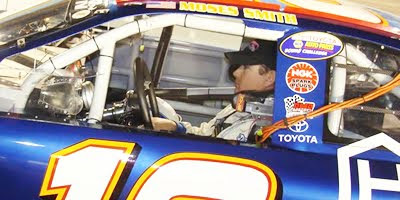 Smith, an Arizona resident, is looking forward to putting the Hasa Toyota Camry into Victory Lane. “I know we can win this race,” said Smith. “Last April we didn’t qualify where we should of. 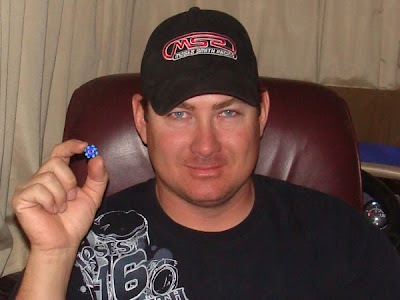 We came from the back of the field and had a solid top-five finish in sight when bad luck struck us.” Since last April, Smith has recorded four top-five finishes including a podium finish at a new track to the Hasa team, Montana Raceway Park. There will be a Fan Open House at PIR on Friday November 12th from 11:30 – 5:00 pm. Come out and meet your Hasa Pool Products team. 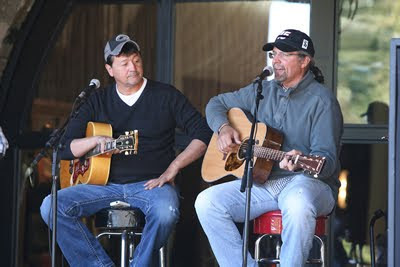 Ticket information for the 3 Amigos Tequila “125” can be found at www.phoenixinternationalraceway.com. 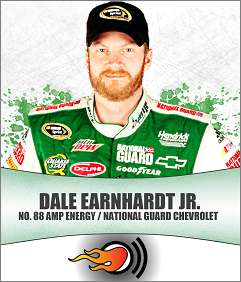 The green flag for the race will drop at approximately 6 pm on November 13th following the NASCAR Nationwide Series race. The 3 Amigos Tequila “125” can be seen on SPEED Channel on November 18th at 3 pm pacific from Phoenix International Raceway. Kyle Richard Petty is an American NASCAR driver and racing analyst. He drove the #45 Wells Fargo/Marathon Petroleum Company Dodge Charger for Petty Enterprises. He also appeared in the 1983 Burt Reynolds movie Stroker Ace. ***** Congratulations to our winner - Miranda Ward! Bikers from across the state and country pulled out of the zMAX Dragway in Charlotte for the eighth annual Ride to Victory. The fundraiser benefits the Victory Junction Gang Camp. 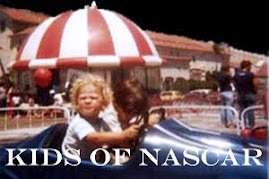 Kyle Petty said while the rides are a lot of fun, they pale in comparison to the end result that they achieve. "These are people who give up a Sunday afternoon to come out and ride motorcycles and hopefully we'll be able to send a bunch of kids to camp," said Petty. Songwriters' performed famous country music hits recorded by Garth Brooks, Sara Evans, Tim McGraw, Carrie Underwood, Kenny Chesney and many more. You can begin forming Dream Teams and raising money for the Ride Across America. 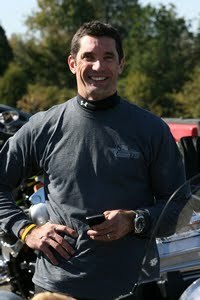 If the team is along the route for the 2011 Ride they have the opportunity to present their check to Kyle Petty in person (route cannot be guaranteed yet) . You can help raising awareness during the ride’s down time. 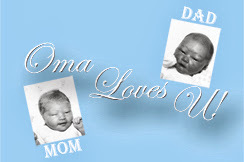 Check out their Facebook and Twitter pages daily. Supporting Victory Junction in their events. Papa Johns is running a promotion for VJ and Goody's will donate money to VJ through the Pick-A-Powder Campaign with Richard Petty. 1. Giveaway ends Tuesday, November 30, 2010. There will be one grand prize winner. 2. Main Entry – You must complete this entry in order for the extra entries to count. Help determining the route for the 2011 Ride. The route and overnight stops change completely every year. They never visit the same place two years in a row! It becomes tricky to find a cool town, the riders have never seen or a scenic highway they haven't ridden. 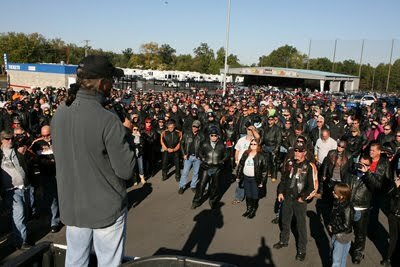 The Kyle Petty Charity Ride Across America is open to any and all suggestions! (Cool hotels, beautiful sights, scenic highways… you name it!) Leave a comment, (at least fifty (50) words or more), suggesting a new route for the 2011 Ride and earn 10 entries. 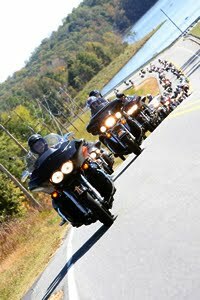 How cool would it be if the Kyle Petty Charity Ride Across America roared past your house in 2011! 6. You can earn unlimited entries by recruiting your friends and family to join the Kyle Petty Charity Ride on facebook and/or twitter. Just come back to this post and comment leaving the name of the person you recruited and whether they join the Kyle Petty Charity Ride facebook or twitter page. 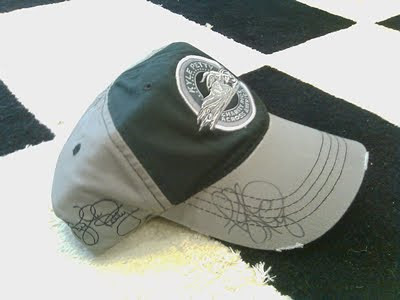 Lots of easy ways to enter for an awesome Kyle Petty Charity Ride Across America Event Hat. However, more importantly, you will be helping a super cause and that will leave you feeling like a million dollars.